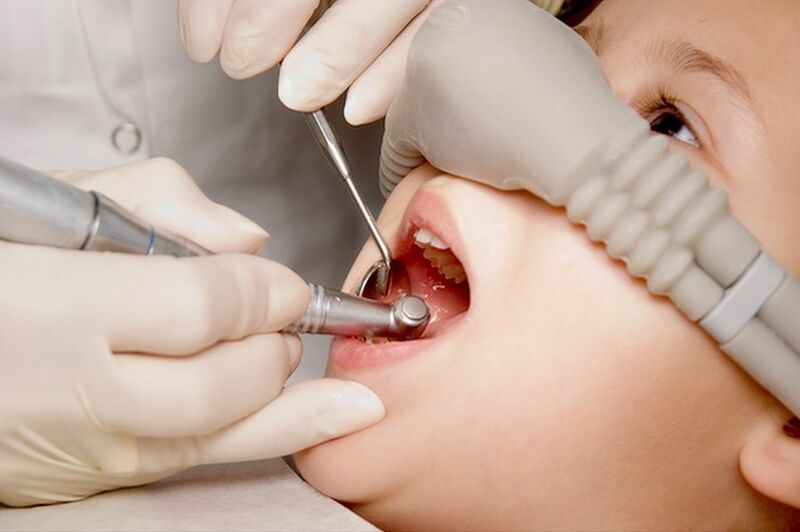 There are still a fair number of children for whom the conventional, psychological approach alone is not enough to provide quality dental care. For them, pharmacological intervention becomes a strong alternative. One of the possible sedative drugs in dentistry is midazolam, a short-acting benzodiazepine which can provide safe and effective sedation before surgical procedures18, with anterograde amnesia promotion. When used with other central nervous systems depressants, midazolam can produce adverse respiratory events. Its commonly reported effective oral doses range from 0.25-1.0 mg/kg in children (maximum 20 mg). It is quickly absorbed after administration via the oral route, can take effect within 15 minutes, reaching a peak in 30 minutes, and lasts from 20 to 90 minutes. A number of studies have employed enteral midazolam for pediatric dental sedation, and even as premedication before nitrous oxide/oxygen analgesia most of them being retrospective studies.